Our aim is to promote inner health and rejuvenate the outer health of the body, as we believe that everybody deserves to look as young as they feel. We have brought together a team of highly qualified professionals, headed by Diane Nitschinsk (Owner/Manager) Dipl. Beauty Therapist, Make-up Artist, Electrologist, Spray Tanner, Laser Safety Officer, Clinical Therapist and QRS Regional Beauty Trainer. We have staff that are trained in paramedical skin treatments  in which they treat problematic skin and staff trained in the art of pure indulgent relaxation  they work on allowing you to enjoy a peaceful escape. As technology advances and improves it is easier to erase the damage that time has exposed the skin to. Results that you will see and feel straight away. We welcome both male and female clients to enjoy this new, modern, advanced technology. 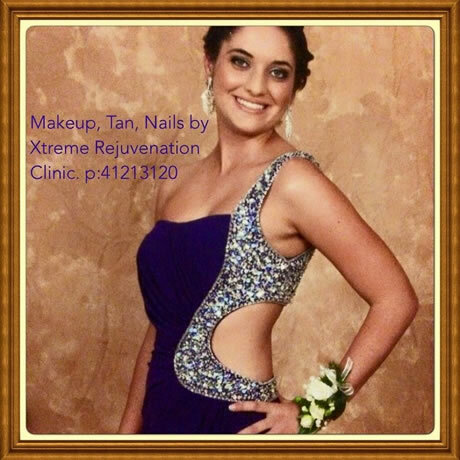 Our Xtreme team is made up of brilliant beauty therapists and nail technicians qualified in their fields of expertise and always do exceptional work. All team members have been qualified in the industry for many years and take special care to maintain and up date their skills and LOVE what they are doing! Actually we all enjoy helping our clients to look and feel young and the atmosphere is amazing! A professional, experienced team to meet your needs.